Attractive kids rides octopus rides is the most popular amusement rides no matter in the park or plaza. It has very beautiful shap and the animals in different figures that make people feel in a very interesting paradise. Both kids and adults enjoy it very much for the fighting with Snail Team and excellent music. All of these characters make water rides be welcomed permanently! 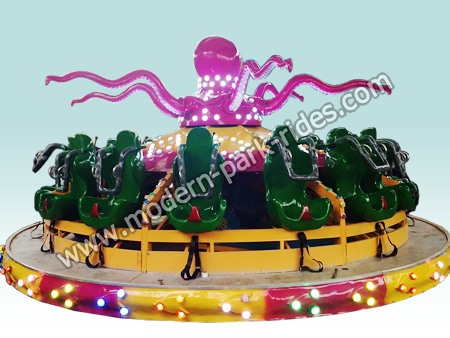 We are the direct manufacturer and provide various types amusement park rides. Besides, all of our materials are selected strictly and top level materials are always chosen! Moreover, our products can be customized!